An Experienced Agent Could Mean $25,000 More for Your Home! For real estate agents, experience brings a number of advantages. With experience, agents gain deep market knowledge, stronger negotiating skills, a wider professional network and more. According to a recent study in the Journal of Housing Research, these tools could mean the difference of $25,000 for your home! In the study, homes listed by experienced real estate agents sold for $25,000 dollars more, on average, than those listed by rookie agents. Experienced agents were also more likely to sell the home and to sell it faster. For homeowners who are struggling with their mortgages and looking for answers, finding a trained and experienced agent is even more important. It takes an experienced agent to help homeowners understand their options and help them find the best path through their unique situations. 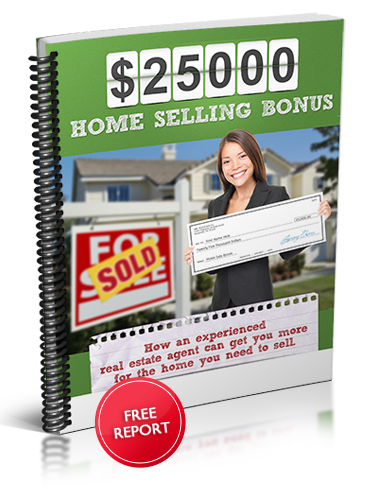 I have a report entitled “The $25,000 Home Selling Bonus” that explains how working with an experienced and trained agent can benefit you. I think you’ll be surprised by the difference experience makes. If you or someone you know can use my help, please read the report, and then contact me for a free, confidential consultation. You can download the report from my distressed property website. After reading the report, contact me today for a free market analysis.